I'm going on this trip and will pay down payment now ($875)and balance 12/15/18. 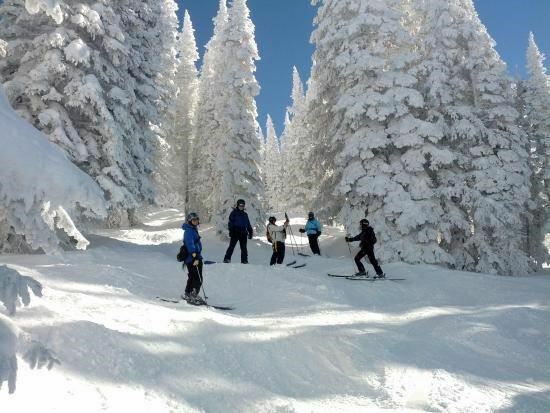 Package Price - $1,745 (based on double occupancy) includes air from Grand Rapids, round trip ground transportation, seven nights lodging at The Lodge - 3 bedrooms/3 bath condos, complimentary coffee and donuts in the lobby, 5 day lift ticket at Steamboat, social events, free shuttle to skiing and into town, $50 food credit for each lift pass holder. Package does not include: airline baggage fees, trip insurance, ski rentals, or meals. If you have any questions, contact Lori at lorivug@yahoo.com or 616-566-6273. Down payment of $875 due with registration and $870 due 12/15/17. Easiest/preferred payment method is with a credit card (please pay for only one event/person per transaction).